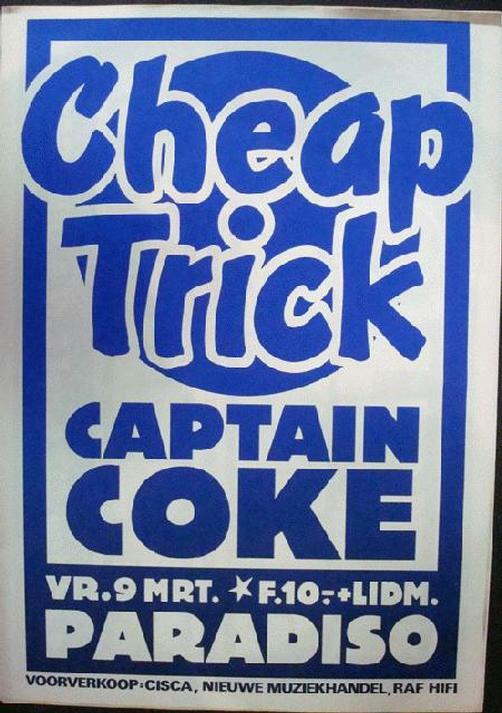 Original silkscreen concert poster for Cheap Trick and Captain Coke at The Paradiso in Amsterdam from 1979. 17 x 24 inches on thin stock. Less than 200 printed. Design by Martin Kaye.